This small sitting room and deck addition fills a wedge-shaped gap between the existing house and an artist's studio. 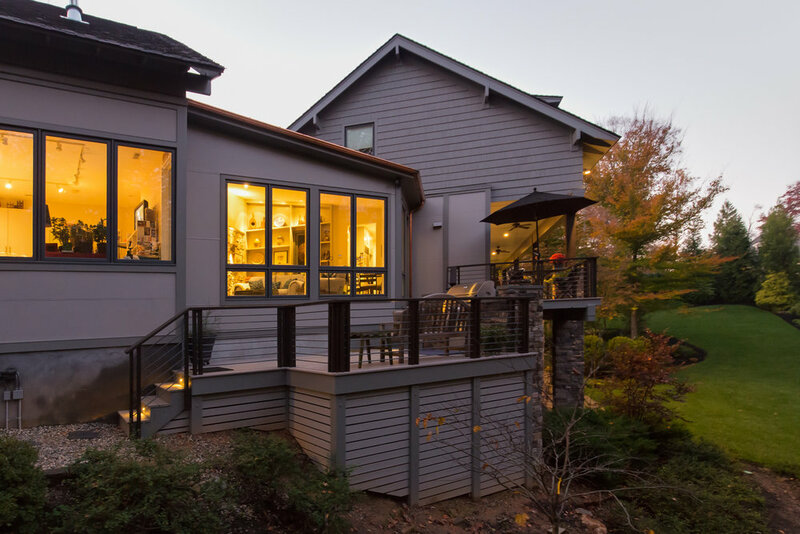 Large windows bring the outdoors in, and the deck steps down with the existing landscape. 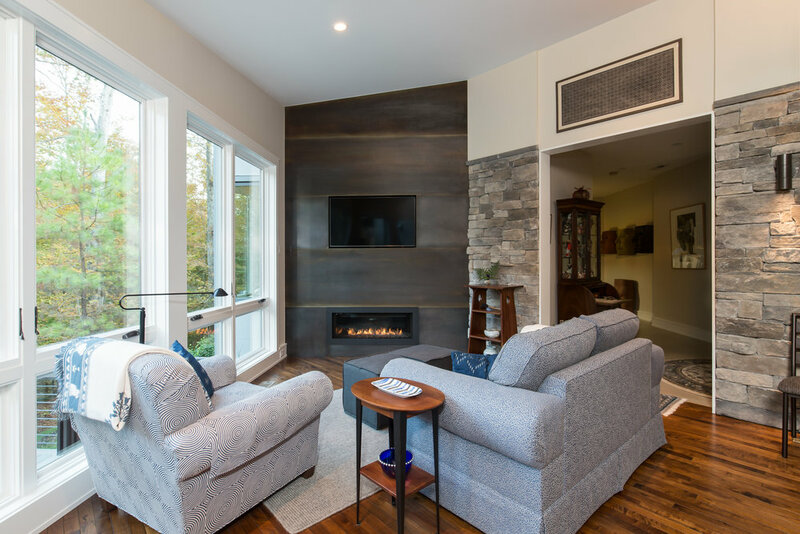 On the interior, a blackened steel wall conceals the fireplace and TV and complements the existing stacked stone wall. On the opposite side of the room, a custom shelving unit displays artifacts from the clients' travels.